articipating in my Artist Highlight of the week! This week we have Jamie from Dreamy Jamie Knits! 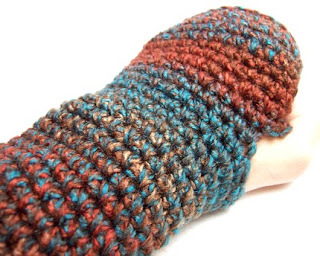 She has some absolutely fabulous gloves for this upcoming and already here cool weather and lots of other knitted treasures. I adore the colors and the fingerless gloves as well as some other goodies. Hey Jamie! Welcome! Tell us a little bit about yourself and your art. Hi everyone! I’m Jamie of Dreamy Jamie Knits. I’m East Tennessee born and raised, and have lived here for most of my life. When I’m not knee-deep in yarn, I’m a retail sales associate. I learned to crochet from my Grandmother and Mom when I was really young, and did it in phases up until about 4 years ago. I was in college at the time, and several of my classes were at night, so I started making scarves in class to help stay focused. Before I knew it I had a whole pile of scarves and nothing to do with them! When I stumbled upon Etsy, there was no going back. I’ve had yarn as a roommate ever since! (Lucky for me my boyfriend’s okay with that!) Last August I finally learned to knit (after several failed attempts!) and that has helped me branch out a little. 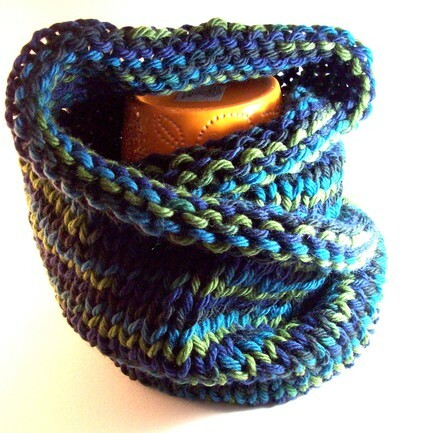 I see shrugs and bigger knit items in my shop’s future! 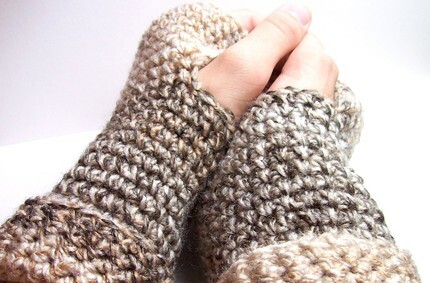 Besides the cool scarves, mittens, and amigurumi you have in your Etsy store, what else do you like to do? I’m an amateur photographer and I have a photography shop on Etsy, DreamBirdPhotos (which I originally shared with another Etsian, though right now all the prints in it are mine). Currently all of the photos in that shop were taken while in Spain, but I hope to expand it to include another photography line in the coming months. I have hopes of taking classes in Photography someday, and I’d love to learn ceramics. Other than that, I enjoy the basics: reading, listening to music, watching television & movies, surfing the Internet, etc. What first drew you to arts and crafts, especially crocheting and knitting? The women in my family really helped bring me into crafts. I was drawn to other crafts from an early age, and spent a lot of my youth playing with beads, scrapbooking, and making collages. I also had a brief sewing phase, but it didn’t go well. I don’t remember a time when I wasn’t in love with some craft or another! Color. I’ve made scarves inspired by color combinations I see in clothing, fall floral arrangements, and once even a fun multi-colored plate! I love to push the limits of what colors can be mixed together. For Etsy shop owners or people who are thinking of starting one, I would highly recommend joining a Team. I’ve been in one for most of my time on Etsy, and I’ve learned and grown so much through my fellowship and friendship with other Etsians. Everything about my art has improved 100%, from what I make to the technical things--like how to phrase listings, photography, etc. Even the person who taught me to knit is a friend that I made through my Etsy team! Aside from that, I would have to say be patient and consistent. Success on Etsy doesn’t happen immediately for most people. Start with a good inventory, and keep it that way. Your pictures represent your merchandise and if they aren’t up to par, nobody will see how amazing the items you make are. Think about the information you would want to know when buying something, and make sure it’s all there in your listings. In honor of highlighting local, east Tennessee artists, Jamie is hosting a giveaway here at A Girl and Her Scout! 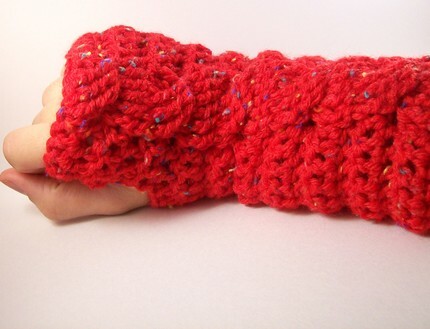 She will be giving away a customized pair of crochet fingerless gloves. 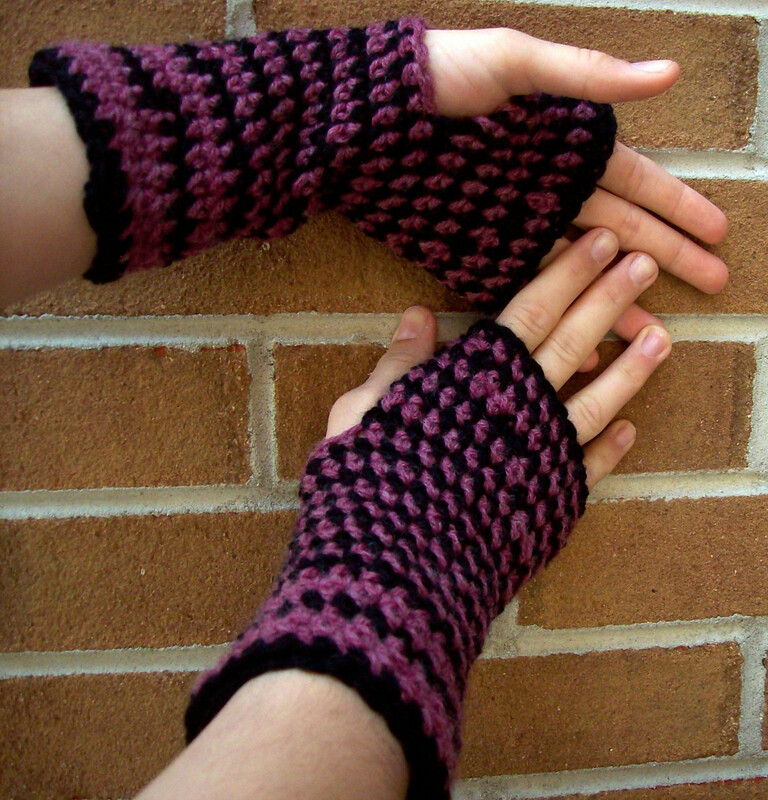 These will be made in the winner’s choice of color(s), and more information can be found here. The winner will be chosen (via a random assorter) on Friday, Oct 29th so be sure to get in your entries by then! To enter, head over to her Etsy Store, Dreamy Jamie Knits, and leave a comment here about your favorite item(s). Additional entries for: 1) becoming a first time follower of A Girl and Her Scout 2) Posting this giveaway with a link to my blog on your blog 3) Posting this giveaway with a link to my blog on your facebook and/or twitter 4) “Hearting” or adding Dreamy Jamie Knits to your “Favorites” on Etsy and/or 5) making a purchase out of her store (one entry for every purchase). Be sure to leave a new comment for each additional entry! In addition, until November 15th she will be offering a 30% discount to all A Girl and Her Scout readers! YAY!!! Just use key word “scout” at check out to receive your discount. Happy shopping and crafting and many thanks again to Jamie!! Great post! &Those gloves are amazing :) Love that last image of the purple and black ones!